A few months ago I was participating in what I was calling Not-A-CrossFit class. Well Not-A-CrossFit now has a name and they’ve gone live with their first workout today, introducing: Stretch Lift Run! The Stretch Lift Run program will run 5 days a week. New workouts will be posted every Monday, Tuesday, Wednesday, Friday and Saturday. Thursdays and Sundays are scheduled rest days or they can be used as make-up days. If you start the program and follow religiously, when you miss a workout you can make it up on Thursday or Sunday. 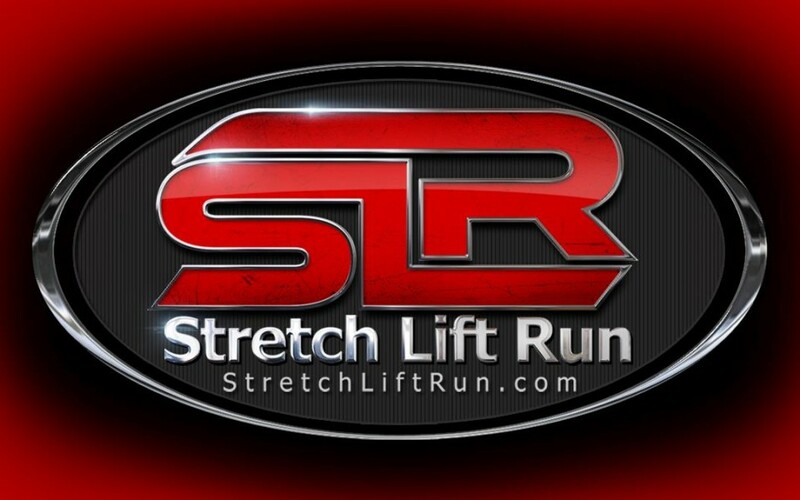 Currently all workouts are being posted to the Stretch Lift Run Facebook page but you can sign up to be notified when the full site goes live at StretchLiftRun.com. A few adjustments have been made to the program since my trial run with it but all workouts, like CrossFit, are meant to be completed to the best of your ability…so whatever you can do, do. And if you need to rest or stop in the middle of a workout or even near the beginning, just stop. Notes: Warm up to a weight that is challenging for 5 dumbbell deadlifts. Immediately afterwards, complete as many calf raises as possible without stopping. Once finished, rest 90 seconds and repeat for a total of 5-7 sets (3-5 if new). Increase dumbbell weight each set if possible.